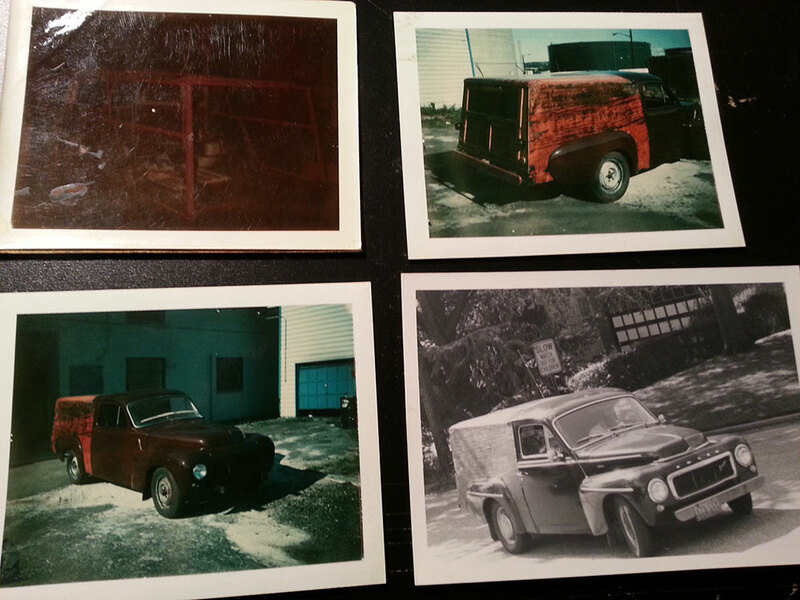 When I was 17, I bought a 1965 Volvo PV544 for $ 15.00. It had been a daily driver of a family friend until it was rear-ended. The insurance company totaled the car thus the windfall for me. The car had been hit squarely in the rear buckling both rear fenders outward. It was still drivable, but would have tire rub over big road bumps. The first thought was to cutaway the interfering metal. Do some Mickey Mouse structural add-ons like flex angle supports and drive it in the woods until it’s death. However, there had been two specific influences, a few years earlier, that precluded me from that path. 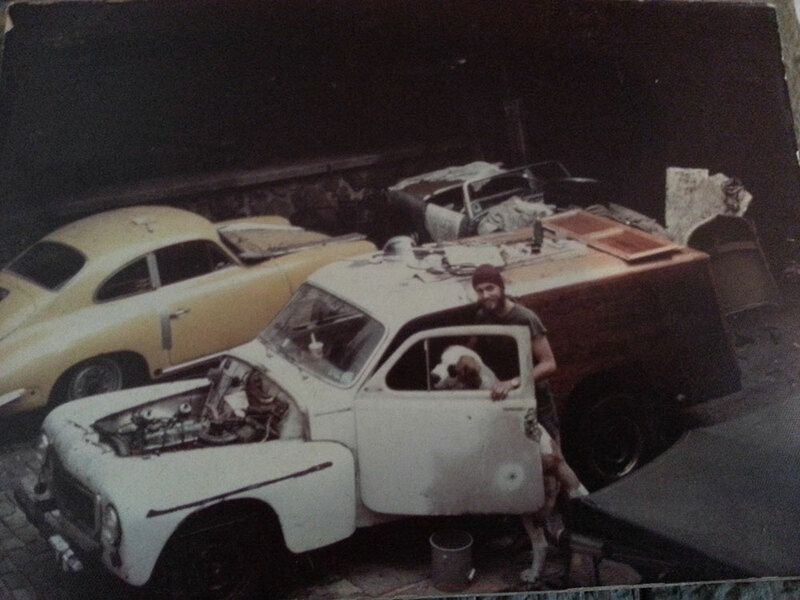 The first is that I had been introduced to a Dodge Woodie that captivated me. I thought it was the coolest thing Reb Barlow owned. He probably had higher regards for his Austin Healeys, but what did I know. 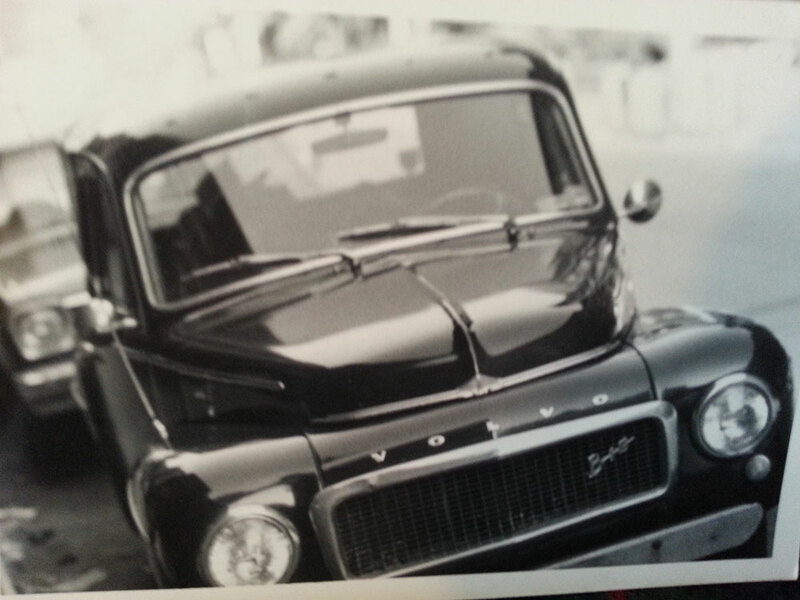 The second was a Volvo PV544 that my brother-in-law had in college years. 544’s and their variants were dependable runners and priced right. My older brothers had had a Jag 140 coupe and a Porsche Speedster. So, bulbous, aerodynamic body lines were the norm for me. I had a garage space and time to daydream. Thus started a 3 to 4 year journey to build ‘The Woodie’. I accessed an air chisel and started to cut metal. A little at a time kinda like a haircut shaping and molding with a vision in mind. 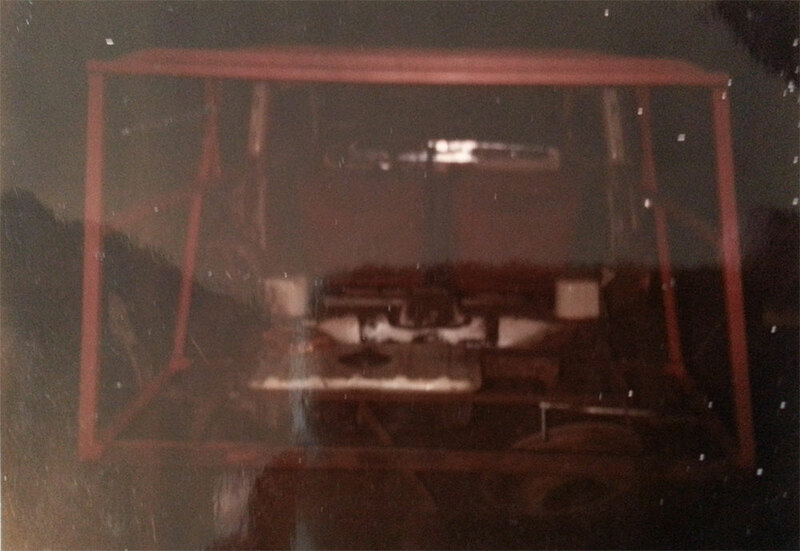 Next was towing it, with the family CJ5, to a truck maintenance garage that had a stick welder and someone who knew how to use it. Here the heavy fabrication began. Using industrial weight 1” steel box tubing I went about making and integrating the sub frame. Heating and bending tubing, setting in place. Removing, rethinking, reforming many times. I eventually learned to weld myself because of having to rely on others who really weren’t interested in my timeline or dream. Mind you, this is back in the mid 70’s and there were no You tube How To’s , etc. The closest thing was Motor Trend magazine or similar with some guy in California, on the opposite coast, building wild stuff. The progress was slow, impeded by my constant sketching new ideas. How to slope and curve the wood roof planks, how to hinge the back doors, how to make the rear bumper swing down so the tailgate could drop all the way, etc. I knocked a lot of tin in those days. Cutting and spreading the rear fenders to come straight back against the new wood sides. Hand forming new rocker panels. Brazing everything together. (not realizing paint doesn’t stick well to brass!). Wet sand, wet sand and wet sand some more. Prime. Wet sand, wet sand and wet sand some more. After a few years, it was road worthy. It was my Frankenstein. It was my canvas. I had created this. And, I loved it. We went everywhere. A true daily driver. Rain, sleet and snow it went all over the north east and mid-atlantic. The Volvo woodie wagon even climbed Mt. Washington. Went through many relationships and the last one in marriage. We’ve had 5 Volvos since then and I still have a ’65 544 in need of some TLC. But, ah, that Woodie was special. Fond memories. Cool story – and some great old pictures, too. Those Volvo’s were great. Very cool! Old Volvos never die. nor should they. I want to make a pickup out of a 245, so I respect your effort and enterprise. Did you ever figure out how much it cost in the end? We’re doing a pickup from a 945. It’s quite a project. You can see what we’re doing on Turbobricks, check “ projects and restorations” and search for “Mike K ruin another Volvo “ or something like that. I actually haven’t been through the whole build thread, that’s even more outstanding than I initially realized. The attention to detail in the bed sides is nuts, I was just focusing on the baller tailgates. That is a really cool piece of work.That’s Art. 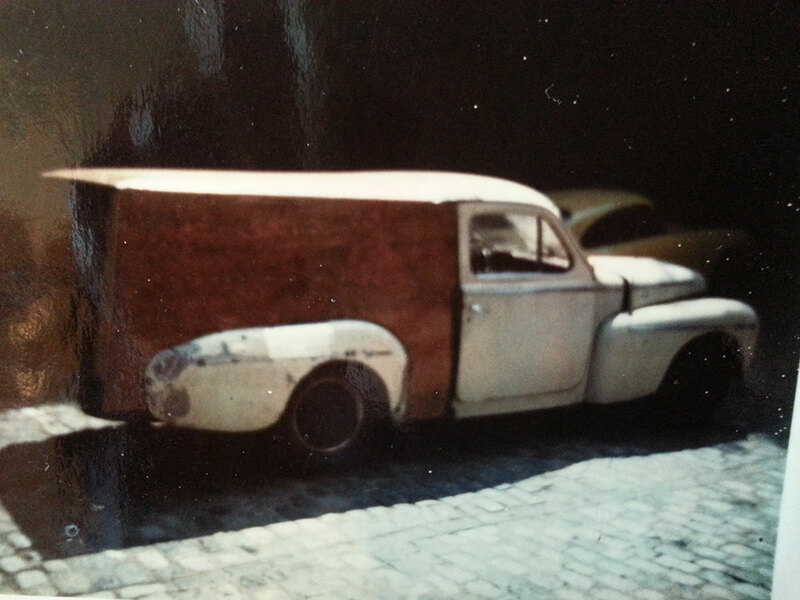 Hat’s off to you and Sr. Love the forward liftgate and the recycle and integration of all the original seals, steel, etc. You are most fortunate to have your dad building this with you. Question : After all that work – who’s the better welder ? lol ! Material costs were minimal compared to design, fabrication time and labor. Roof was probably the biggest re due – and more than once. Didn’t know a lot about green lumber, but sure learned ! The 1-1/4″ sq. box steel tubing was 1/8″ thick – industrial stuff – heavier than needed. But, then again I didn’t have easy access to a selection of materials in ’73 when I started. good luck with your 245 pick-up. !